Three tips to help the Alzheimer's patient caregiver save money. Taking care of a loved one with Alzheimer’s or dementia can result in significant family debt. 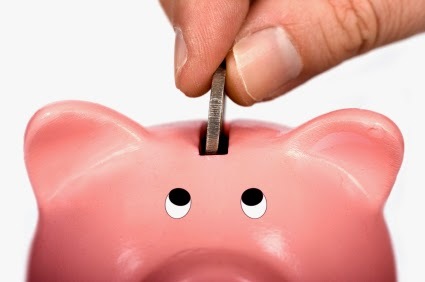 Because every little bit of savings helps, here are tips worth checking into. Family members taking care of loved ones with Alzheimer’s or dementia may spend upwards of $20,000 annually in out-of-pocket costs, according to a Caring.com report. Out-of-pocket costs include assisted living, medications, medical bills, professional in-home care, transportation, incontinence supplies, and wandering products such as alarms. Bladder and bowel incontinence often is a symptom of Alzheimer’s and products can be a sizable expense. Because Alzheimer’s is a neurological disease, patients often have trouble recognizing physical urges or remembering where a bathroom is located. Certain medications also can relax the bladder muscles or cause increased urination. With 22 percent of family caregivers saying Alzheimer’s or dementia has put them in debt, according to the report, it’s important to cut costs where possible. Here are three ideas worth checking into. 1. Look into tax deductions. Individuals managing incontinence may be eligible for partial or full reimbursement of their products, depending on age, medical condition, income and local resources. Expenses for incontinence supplies may be tax deductible if shown they’re needed to relieve the effects of a specific disease, according to U.S. Internal Revenue Service guidelines. In cases where incontinence products are needed for a condition like simple bladder weakness, individuals may have other options for reimbursement, such as health insurance plans, Medicare, Medicaid or assistance from local resources. For information on where to start, including advice from a tax professional, read 5 Money-Saving Tips for Incontinence-Related Tax Deductions. The average new buyer of incontinence products spends well over $100 in trial and error mode, trying to figure out which products will meet their needs. Causes are limited selection and stock in brick-and-mortar stores, busy pharmacists and unknowledgeable store clerks, and limited choice and availability of sample packs in stores. As a result, we developed the “Try Before You Buy” sample service, offering more than 100 of its 500 products in sample packs. When customers visit the samples page, they can view products categorized by style or brand. It costs nothing to talk to The CareGiver Partnership’s knowledgeable product specialists, and customers pay only $3.49 for shipping and handling. 3. Help your loved one age in place. Save on assisted living expenses by learning and practicing aging-in-place concepts. Although a complete home remodel may be cost-prohibitive, there are several relatively inexpensive, easy ways to help a family member continue to safely live in his own home. Here are just a few ideas:Improve visibility and reduce the risk of trips and falls with non-glare bulbs, natural light, adding bright contrast with tape, and moving rugs, cords and furniture away from pathways. Provide a helping hand by installing grab bars and security poles in bathrooms, bedrooms and living rooms. Increase safety and security with technology, such as automatic medication dispensers, easy-to-use phones, smoke detectors with strobe lights, monitoring tools and more. Ease a caregiver’s burden through programs such as Meals on Wheels, volunteer-based visitation and socialization through ElderFriends, or help with coping and respite care from Visiting Angels. Be sure to check out our handy Fall Prevention Guide and Caregiver Resource Library.